Now, more than ever, people are seeking a reprieve from the constant pressure to achieve, produce, and consume. While many turn to mindfulness and meditation, organizational change expert Marilyn Paul, Ph.D. offers a complementary solution that is as radical as it is ancient. Drawing on Sabbath history, contemporary research, and her own personal experience, Paul shows you how to design your weekly time off, carve out the time from your busy schedule, and most importantly, change your mindset so you can have the pleasure of regularly slowing down every week. From spending meaningful time in nature to creating a special, calming environment, Paul provides you with practical strategies for stepping off the treadmill whatever your religious beliefs. 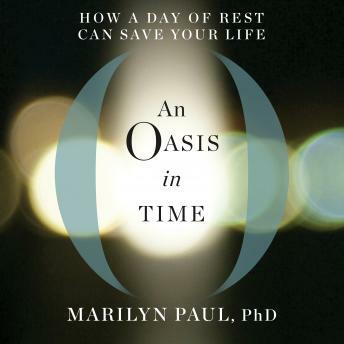 An Oasis in Time is a must-read for anyone looking to live a calmer, richer, more fulfilling life.